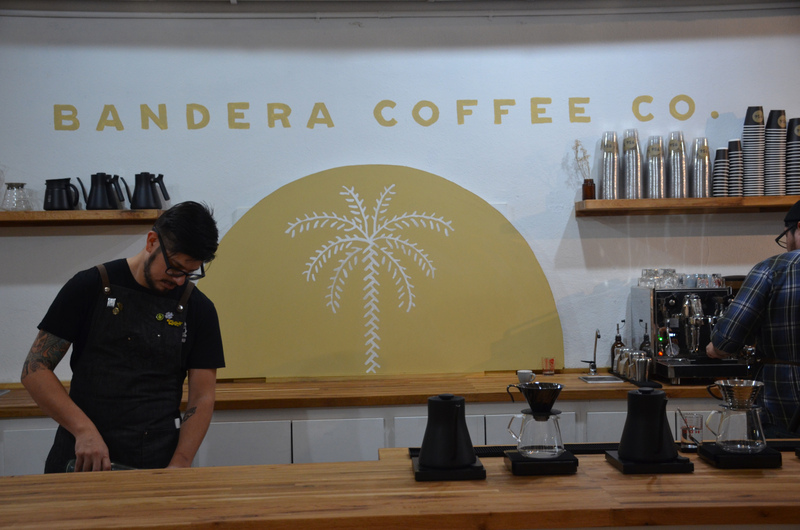 Downtown Harlingen has scored big points with the addition of the new stylish coffee shop, Bandera Coffee Co. This coffee shop just recently opened, boasting excellent roasts. It takes pride in the origin and source of its coffee with a pour over menu consisting of Ethiopian, Costa Rican and Mexican beans. Flavor profiles range from bright notes of kiwi, apple and grape to refreshing key lime, butterscotch and smooth cocoa. 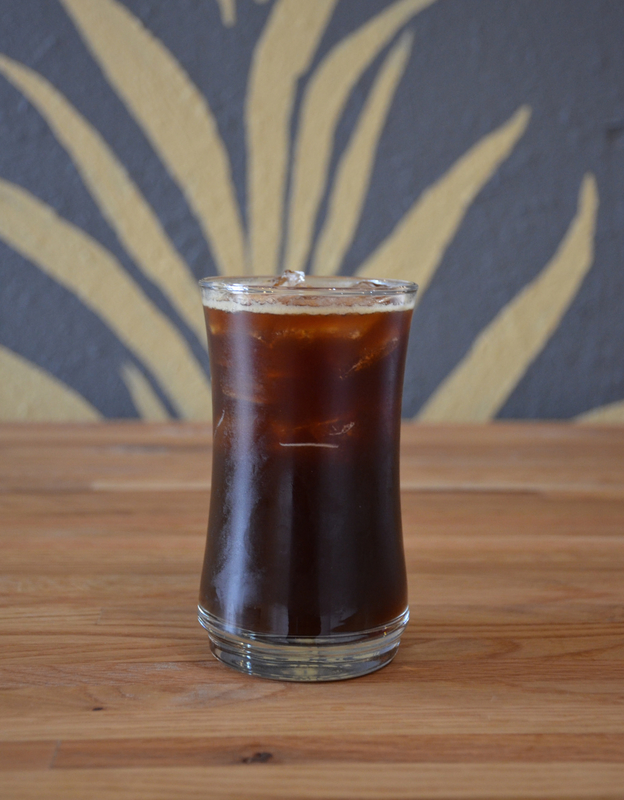 It was around 2010 when owners and operators Ashley and Thomas Garcia had their interest piqued with the complexities of coffee. I was in Illinois at a music festival and we had a friend, who owns his own coffee shop in San Antonio and was making coffee at the festival, bring me a cup. It was my first time having a pour over through a Chemex. 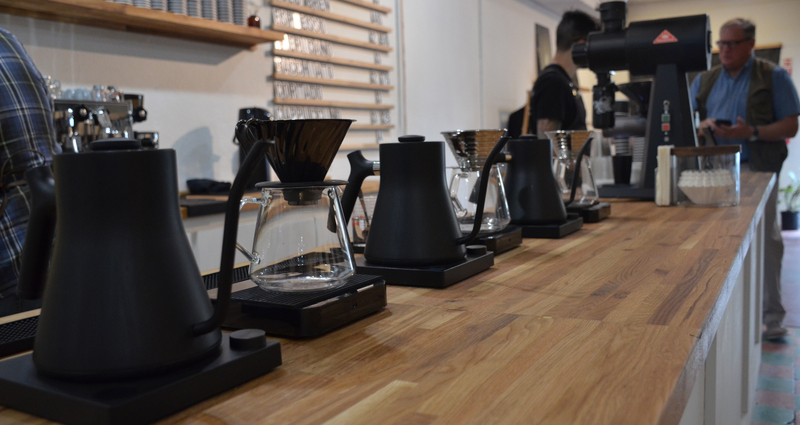 The different nuances completely opened our understanding of what coffee can be,” says Thomas. After the first cup of brew, (cold brew is a favorite) one can note that this isn’t just about the coffee but also the flavors and characteristics it carries. Here patrons find a balanced cup of coffee with little to no need for added sweetener. The usual bitterness of overly extracted coffee is nowhere to be tasted. The look of the clean lines of the new coffee shop come courtesy of the Department of Brewology based out of Austin, who helped the Garcia’s with the artwork and branding. It creates a relaxing environment to bring a laptop to work or have a meeting with a client. For relaxation, patrons curl up on the black leather couch with a book. 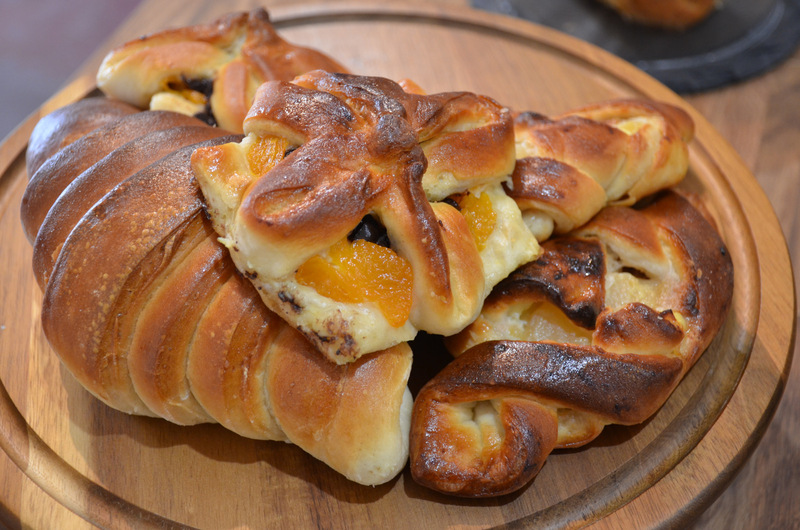 Little ones can be partake in the treats of chocolate milk and fresh baked pastry made by French chef Olivier Nicol with Olivier’s French Sweets. 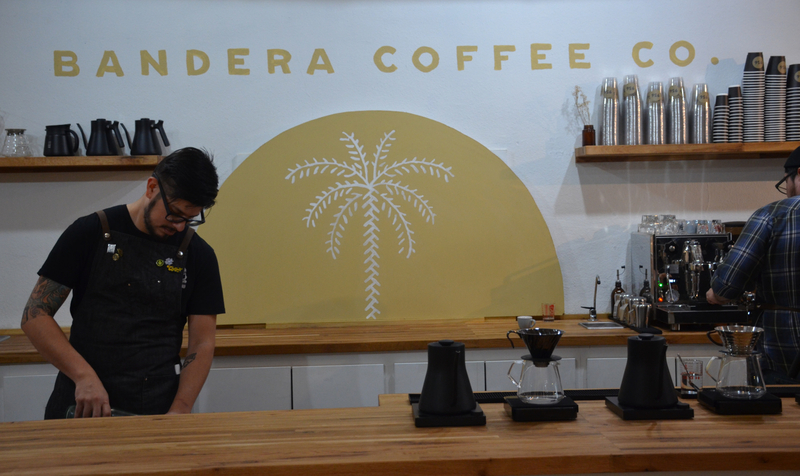 Bandera Coffee Co. has plans to bring live music acts on a seasonal basis and participates in Downtown Harlingen’s monthly Art Night every last Friday of the month. For this month’s Art Night on Sept. 28, Bandera will host five artists as well as a special solo performance by Danica Salazar of popular Valley band, Dezorah. Community events and involvement is something that the Garcia’s know to be vital to the growth of their new business. Last month Bandera hosted a successful Cars and Coffee event with RGV Modern Mopar Car and Truck Club. They are planning the next one for Oct. 27. Stefania Trimboli is a Harlingen native who moved to Austin out of high school to attend culinary school and then went on to work at the Ritz-Carlton in Las Vegas. She later returned with her husband to the Valley where they bought a small BBQ restaurant which they have been running for five years. They also briefly published enCORE, a magazine highlighting the art and music scene in the Rio Grande Valley, where she specialized in travel journalism. Trimboli serves on the Downtown Improvement District board of directors, Harlingen Farmer's Market board and Healthy Harlingen Initiative. She is currently attending TSTC with plans to transfer to UTRGV to earn a bachelor of arts. After ten years of cooking professionally, Stefania wants to start a new chapter following a passion she's had since she was a young girl, photojournalism.